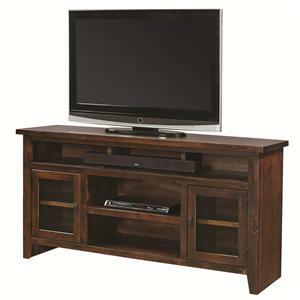 Let this modestly sized TV console bring charm and simplicity to your home living and entertainment area. 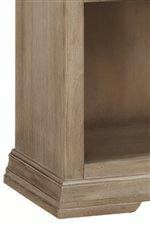 Featuring poplar solids and birch veneer construction, the console is completed by a lightly distressed "Driftwood" finish that is paired with simple metal knob hardware for a low maintenance, au naturel aesthetic. 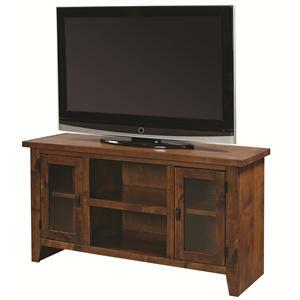 The console features two wood-framed glass doors, each with a fixed shelf interior for storing DVDs and accessories, as well as an open storage area with one adjustable shelf for media components. 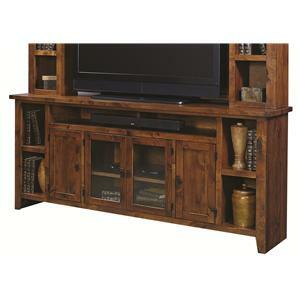 The Canyon Creek 41-Inch TV Console with 2 Doors and Open Component Storage Area by Hills of Aspen at Ruby Gordon Home in the Rochester, Henrietta, Greece, Monroe County, New York area. Product availability may vary. Contact us for the most current availability on this product. 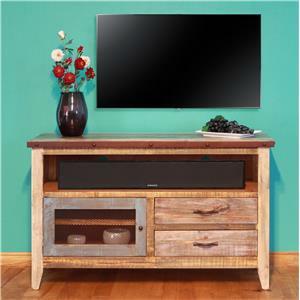 Take a retreat from the flashy, fast pace of your public life by outfitting your home with the understated, pure design of the Canyon Creek collection, featuring poplar wood solids and birch veneers with an authentically weathered Driftwood finish. 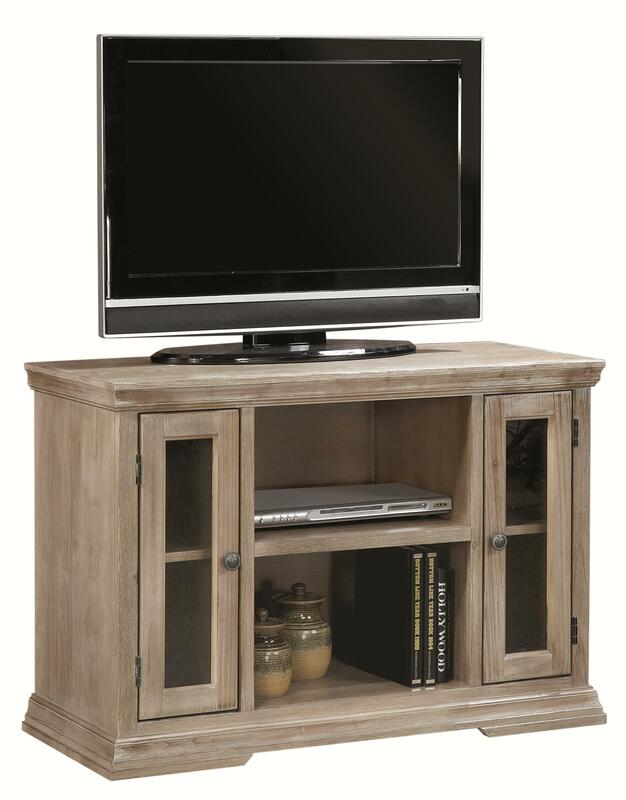 Adjustable shelving, wood-framed glass doors and fully accessible storage for your entertainment media and components adds to the low maintenance character of this quality crafted collection of bookcases and TV consoles. Take a deep breath, relax and get away from it all with the simplicity of Canyon Creek. The Canyon Creek collection is a great option if you are looking for Casual furniture in the Rochester, Henrietta, Greece, Monroe County, New York area. Browse other items in the Canyon Creek collection from Ruby Gordon Home in the Rochester, Henrietta, Greece, Monroe County, New York area.